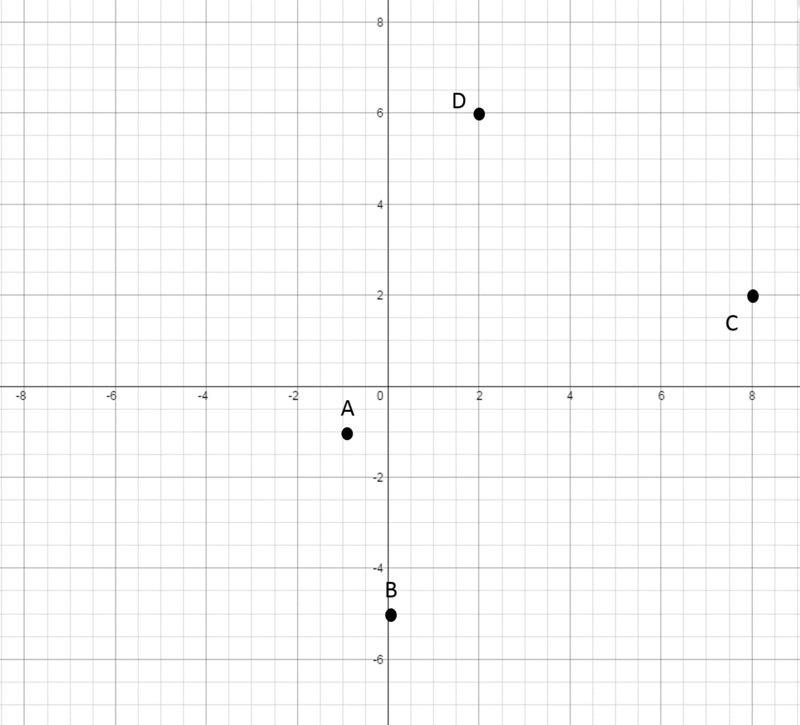 The points and are plotted on a quadrant. 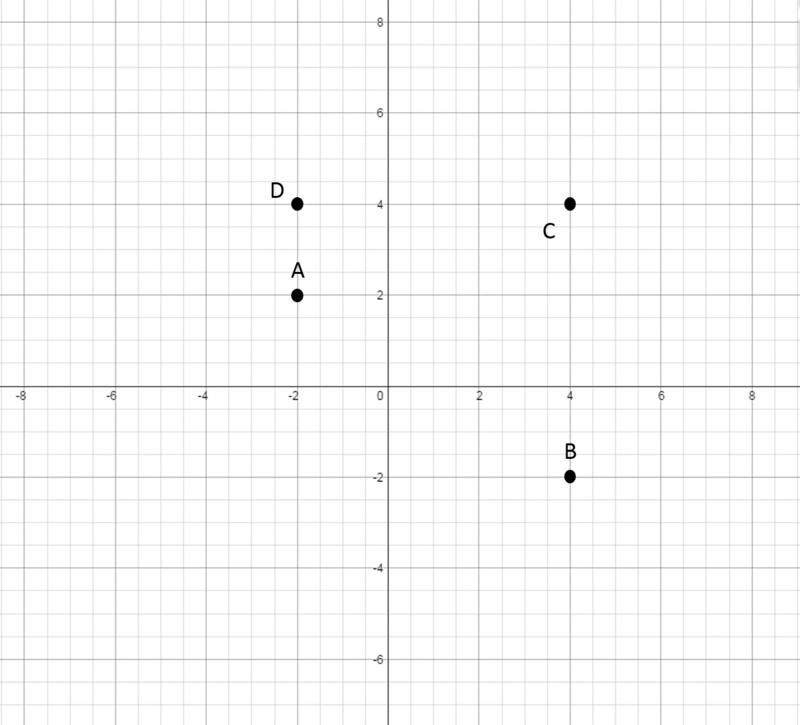 Which graph depicts the correct points? A quadrant is set up in such a way that the positive numbers are to the right and top, while the negative numbers are to the left and bottom. The x-value (the first number in the ordered pair) is the distance left or right from the center. 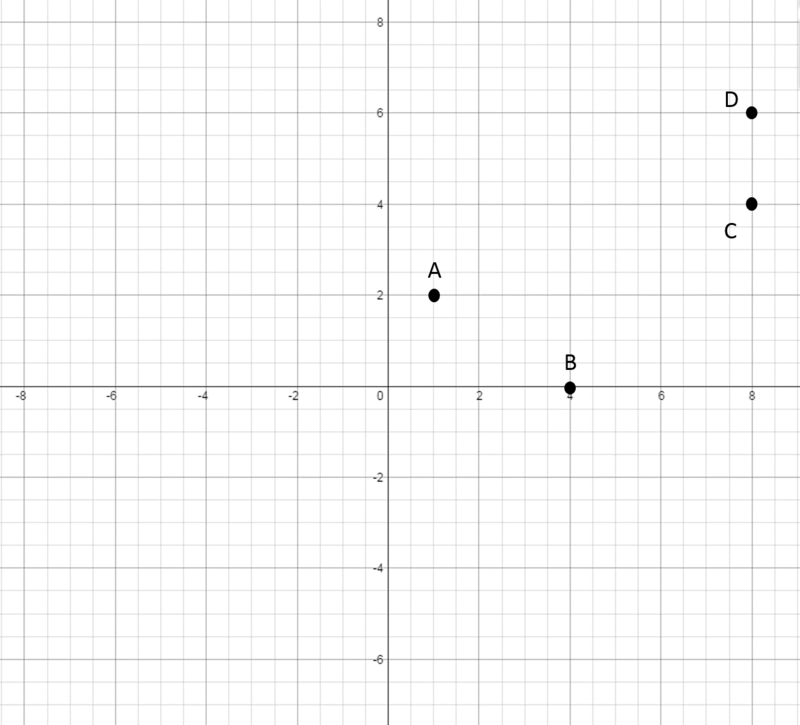 The y-value (the second number in the ordered pair) is the distance above or below the axis. will be units to the right, and units up. will be units to the left, and units up. Which of the followiing quadrants would contain the point ? 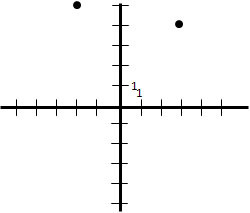 has 0 as its -cordinate and is therefore on the -axis, which is not part of any of the four quadrants. 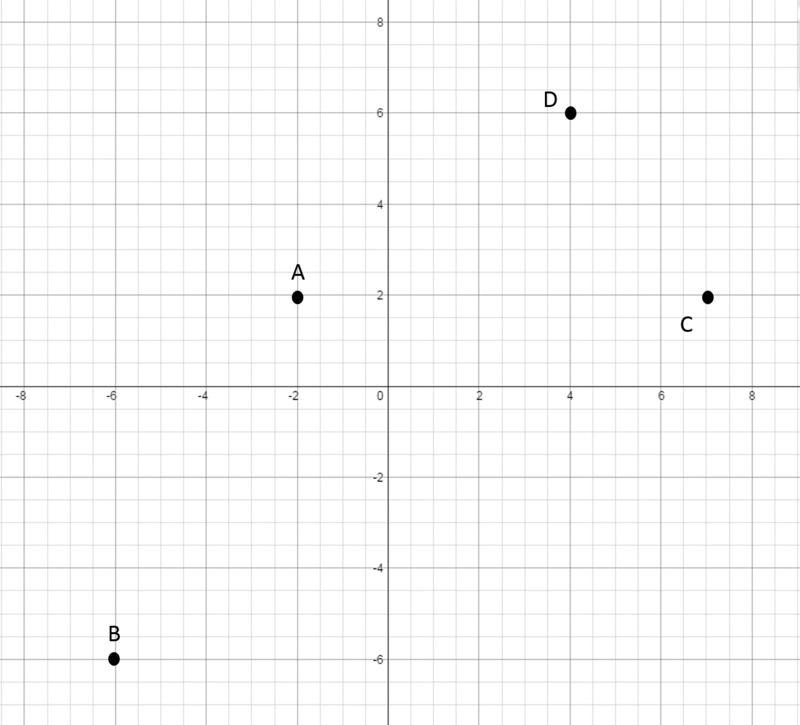 Which of the following points would be in Quadrant III on the coordinate plane? None of the points listed would be in Quadrant III. 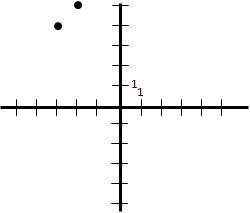 Quadrant III comprises the points whose - and - coordinates are both negative. This makes the correct choice. 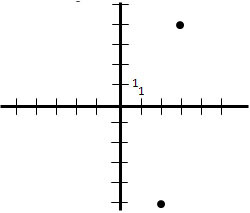 Which of the following quadrants would contain the point ? 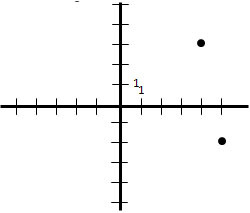 has 0 as its -coordinate and is therefore on the -axis, which is not part of any of the four quadrants. Which of the following ordered pairs is in the third quadrant? The third quadrant is the lower left quadrant, where both the and values are negative. The point is the only point that is in this quadrant. In order to get to the point , start at the origin and move right units and down units. In order to get to the point , start at the origin and move right unit and up units. In order to get to the point , start at the origin and move left unit and down unit. SUNY at Binghamton, Bachelor of Engineering, Computer Engineering Technology.